The Law Society abused its dominant position by requiring over 3,000 law firms to buy its own training in order to maintain their Conveyancing Quality Scheme (CQS) accreditation, the Competition Appeal Tribunal (CAT) has ruled. The tribunal has granted an injunction to force the society to re-open the market to competition and will next consider damages. Between its own costs, having to pay the claimant’s costs and damages, it is likely that the case will have cost the society at least £1m. The case was brought by North London-based Socrates Training, which provides anti-money laundering (AML) training, among other compliance-related courses, and claimed that its business had suffered as a result of the requirement. CQS launched in 2010 but the tribunal said the Law Society did not come to hold a dominant position until the end of April 2015, when Nationwide Building Society made membership a condition of membership of its legal panel, meaning more than a third of the lending market was tied to CQS. In a 74-page ruling, the CAT, led by president Mr Justice Roth, found: “[The Law Society] abused that position by thereafter obliging CQS member firms to obtain the training in mortgage fraud and AML required for CQS accreditation exclusively from the Law Society. The CAT said that, once CQS became a “must-have” for conveyancing solicitors, “we are satisfied that by reserving at least a significant part of the demand from such firms for AML/mortgage fraud training from at least a significant number of those firms at any one time, potential competition from other suppliers of such training was actually or potentially impaired, and that this could discourage entry by other suppliers into this segment of the market”. The tribunal was critical of the figures provided by the society to claim that CQS was loss-making overall and subsidised by practising certificate income, which it emerged were “materially understated”. Even then it was “impossible to reach any reliable view as to whether or not the CQS was loss-making, at least after 2012 when the training income significantly increased”. “We note that by letter from its solicitors to the tribunal written after the conclusion of the trial, the Law Society restated its case to assert that the CQS is loss-making on ‘a standalone basis’. We doubt very much that even that conclusion can be drawn robustly given the method used for cost allocation, but in any event, the CQS of course is not a standalone business. The tribunal found that lenders were not interested in the content of the course and did not act as a competitive restraint on the society. 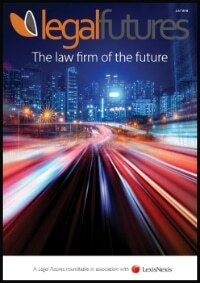 It added: “[While] the Law Society may not have any incentive to charge excessive prices for a product supplied to its members… it is by no means impossible that the Law Society may at some point regard the CQS or the supply of training courses under it as a means to boost revenue and cross-subsidise some of its other activities for the benefit of its members generally. The tribunal rejected the Law Society’s argument that there was no reasonable alternative to its mandatory training by the Law Society itself, and that without it the scheme would lose its value to lenders and members. As well as lenders not taking a strong interest in the content of the training, there was no evidence to suggest that law firms may seek lower-quality training to save money. 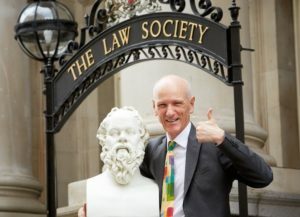 Socrates had suggested that the Law Society could authorise or accredit training providers, to ensure they were of the requisite standard. The society said this would be costly and administratively burdensome, but provided “scant and unpersuasive” evidence to back its argument up, the CAT found. 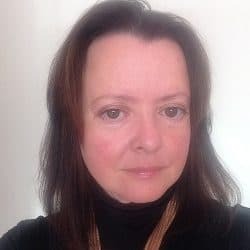 Bernard George, a solicitor and Socrates director, and formerly director of the College of Law’s London operations, said: “It was obvious what the Law Society was doing was not just illegal, but also desperately unfair to us and to law firms. “The decision will be welcomed by solicitors up and down the country, who again will be free to buy the best training available, not just what the Law Society wants to sell them. “It has been a long and gruelling battle but we felt we had no choice despite having to take on a powerful opponent, represented by a QC and one of the biggest law firms in the world. The Law Society sought to play down the significance of the ruling, which it said concerned just a “short period” of time, and promised to “look again at the training elements” of CQS as a result. It said only one of the modules that concerned the tribunal – the financial crime module – was still provided and that has now been withdrawn. Law Society president Robert Bourns said: “For the vast bulk of the time CQS training has been available it has been compliant with competition rules. I am certain that in setting CQS up, the Law Society acted in good faith and in the public interest. “The purpose of CQS – and its effect – was to ensure greater consumer choice in terms of practitioners available to undertake this important work. The case was allocated to the tribunal’s fast-track procedure, but although the hearing came just seven months after the claim was filed, it then took six months to hand down judgment. The panel comprised Roth J, William Allen, a former competition law partner at City giant Linklaters, and Stephen Wilks, emeritus professor of politics at Exeter University and a one-time member of the Competition Commission (as was). Last June, Roth J capped the Law Society’s recoverable costs in the event of winning at £350,000, after finding that its proposed budget of £637,000 was disproportionate. It instructed City firm Norton Rose Fulbright and counsel Kassie Smith QC and Imogen Proud. Socrates put forward a budget of £220,000, which the judge capped at £200,000. Mr George, himself a solicitor, handled the litigation, with junior barrister Philip Woolfe. Stephen Tupper of specialist competition firm Tuppers Law also provided advice. The caps were subsequently increased to £402,500 and £230,000 respectively. 1. If the Law Soc was correct, why was it cross-subsidising the courses anyway from the PC fees? Many firms don’t do conveyancing and therefore were subsidising those that do. 2. In any event the Court didn’t uphold the Law Soc’s defence – and our officers and employees have appeared to have allowed 113CL to be in egregious breach of Competition Law. I hope that the appropriate resignations and/or dismissals will occur. “Grotesque” is also a good way of describing the Law Society Gazette’s report of this matter. Bourns’ comments come across as dismissive and high-handed. Congratulations Bernard George, and all at Socrates, on this breakthrough ruling; it is wonderful to read about an honest and fair judgement which will mean so much to so many. Bravo all! How could the Law Society not have realised it would have a problem with trying to corner the market on training? Who was advising it on the matter? How can the Law Society have any credibility when the Tribunal makes statements like this? Tribunal’s orders which was wholly unsatisfactory”. A CQS firm would likely be removed from the scheme and referred to the SRA if it did such a thing! CQS is a joke! It does nothing to prove that a firm is good at conveyancing. 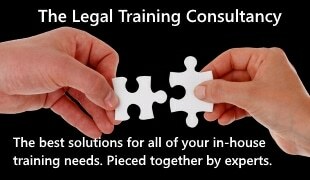 We all have to do AML training and comply with accounts rules etc whether or not we do conveyancing. The very fact that only a few lenders have insisted on CQS qualification show that they do not hold it in high regard and lenders like Nationwide have simply been allowed to use CQS as an excuse for pruning back their panel firms. If there was no CQS the lenders could not insist that law firms held the accreditation just like they cannot insist that CLC firms or CILEX firms hold CQS since it does not apply to them. With such firms the lenders are happy to accept that they do the standard CPD requirements and have suitably qualified staff. CQS is and always was a money making scheme for the LS is just the same way as VEYO.